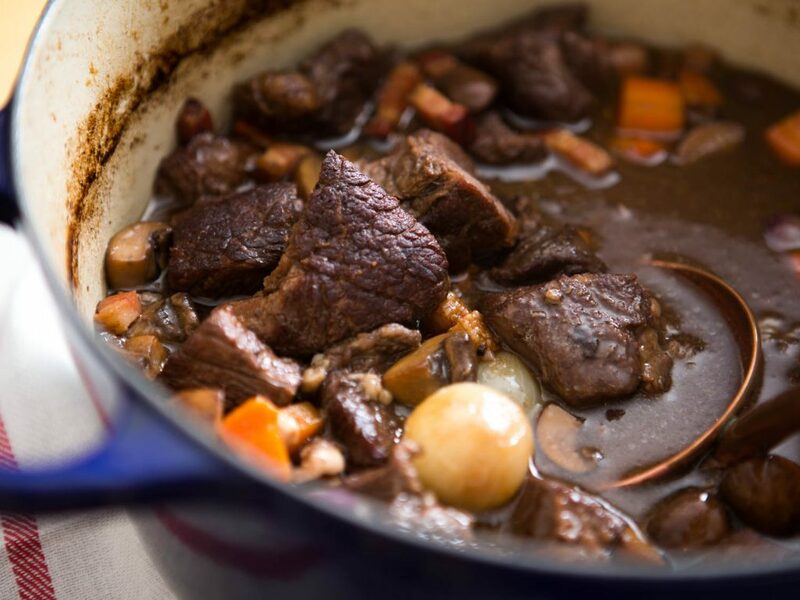 Boeuf Bourguignon sounds pretty fancy huh – well it’s pretty tasty that’s all I know, and one of my FAVORITE dishes. We enjoyed a meal with our Friends Doug and Karen this weekend at Mateo http://mateorestaurant.com/ a fun restaurant on Pearl in Boulder. I was excited they had it on their menu and I savored every bite! 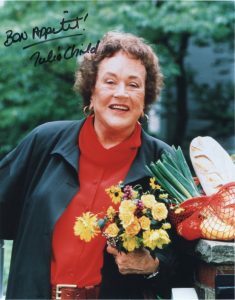 Boeuf Bourguignon – this is Julia’s recipe. It’s a bit of work, a little fun and totally worth it to say ….why yes, this is Julia’s recipe – smile! Saute lardons in 1 tablespoon of the olive oil in a flameproof casserole over moderate heat for 2 to 3 minutes to brown lightly. Remove to a side dish with a slotted spoon. Dry beef in paper towels; it will not brown if it is damp. Heat fat in casserole until almost smoking. Add beef, a few pieces at a time, and saute until nicely browned on all sides. Add it to the lardons. Add onions and saute over moderate heat for about 10 minutes, rolling them so they will brown as evenly as possible. Be careful not to break their skins. You cannot expect them to brown uniformly. Skim fat off sauce in saucepan. Simmer sauce for a minute or 2, skimming off additional fat as it rises. You should have about 2 1/2 cups of sauce thick enough to coat a spoon lightly.